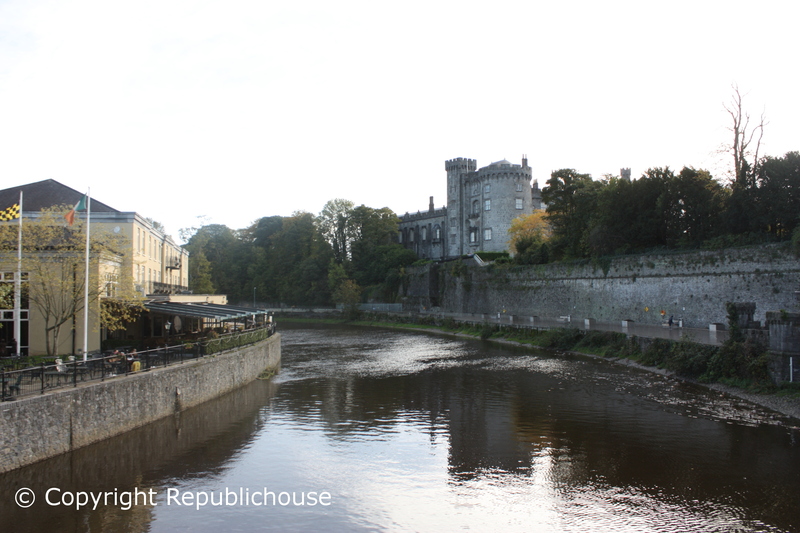 By the banks of the River Nore in medieval Kilkenny City, in the shadow of the dominant Anglo-Norman Kilkenny Castle, Tynan’s Bridge House Bar sits perched at the southerly edge of John’s Bridge. It’s an easy pub to spot given its prime location and bright blue facade, so it’s hardly a secret to recommend it, but on the off-chance you might choose to keep walking past, do yourself a favour and drop in. Tynan’s is Kilkenny City’s oldest pub, having been established in 1703, albeit originally as a grocer-pharmacy. 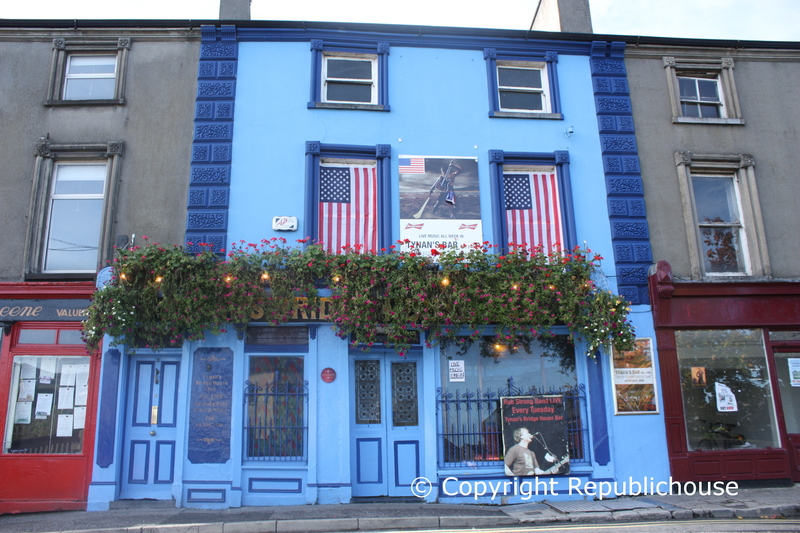 In 1919, Michael Tynan took over the premises and converted it into a bar. Its shop-pharmacy heritage is still evident today, given that even as a bar it maintained the shop-pub dual role so common in Ireland in the 20th century. The front bar, into which you enter, still is home to a host of stock drawers labelled to account for the range of supplies and medicines which they would once have held; among them noted are lemon, citron, seeds, salts, nutmeg, cinnamon, chocolate, cloves and almonds. 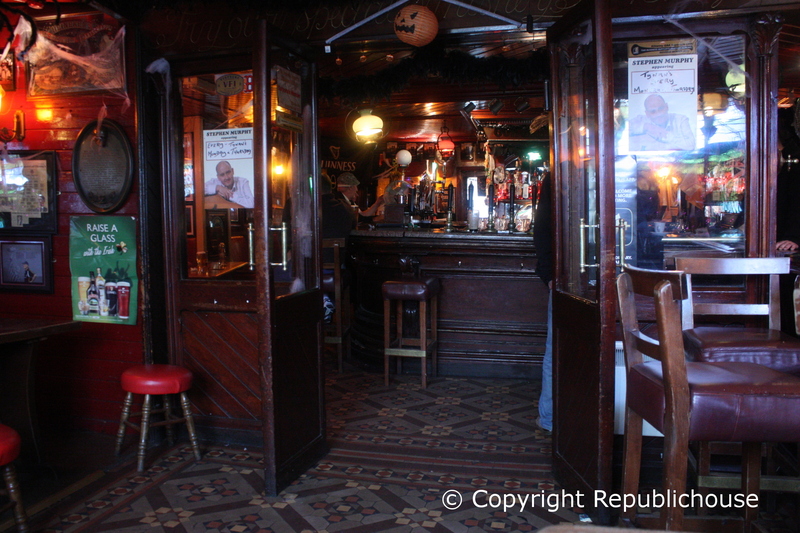 This front bar maintains the aura of an original shop-pub, such as Currans in Dingle, although it is more ornate than would be the norm with gorgeous leaded glass front windows, leather high stools, an ecclesiastically-styled tiled floor and glass double doors topped with gold lettering, leading through to the main lounge bar. A tiled mosaic at the front entrance marks the name W.J. Darcy, which is presumably the name of the original pharmacist, although we were unable to confirm that. 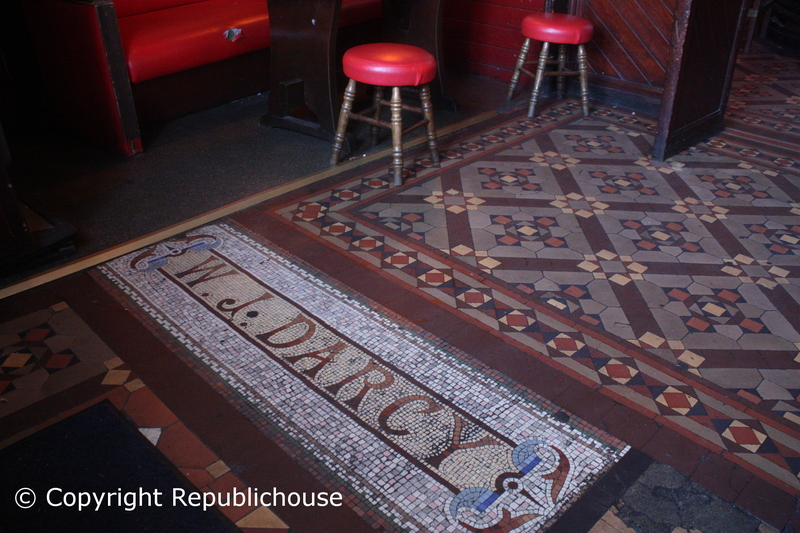 The beautifully tiled floor continues into the main bar. Incredibly, it is heavily sloping in parts, crumbling under the weight of over 300 years of foot-fall, which in turn leads to the granite bar counter curving downwards in one corner. Oh the perils of drinking amid Irish pub heritage! The main bar is home to this grand, brass-railed horseshoe bar, lined with further tall leather stools and shining in the warm glow of old, glass lanterns. The dark, wooden-panelled ceiling and mirrored walls capture the soft light of this larger back bar, creating a cosy atmosphere. 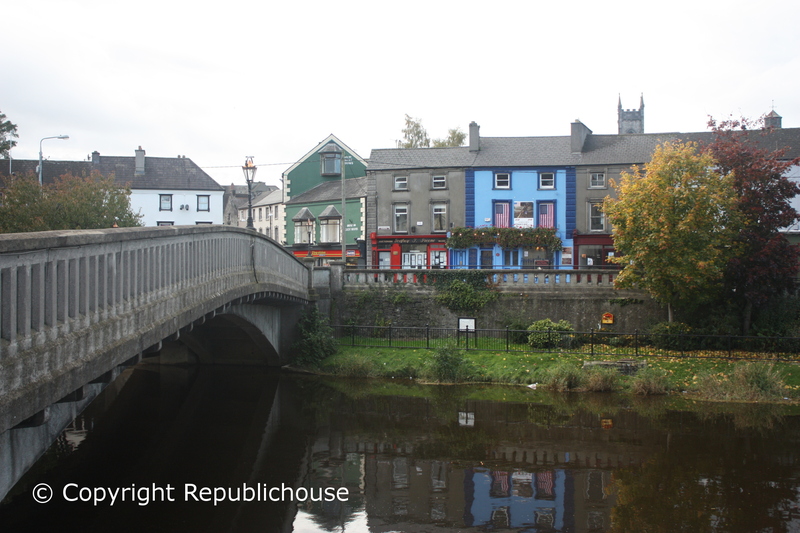 We visited Tynan’s twice over the course of our weekend visit to Kilkenny, initially on the Saturday evening leading into the busy Saturday night. We stayed for the early tunes played by the live band that had set up camp in the far corner of the back bar. The atmosphere was lively with the band in residence, but happy as we were, we decided to leave when the decibel levels started to overtake our energy levels! 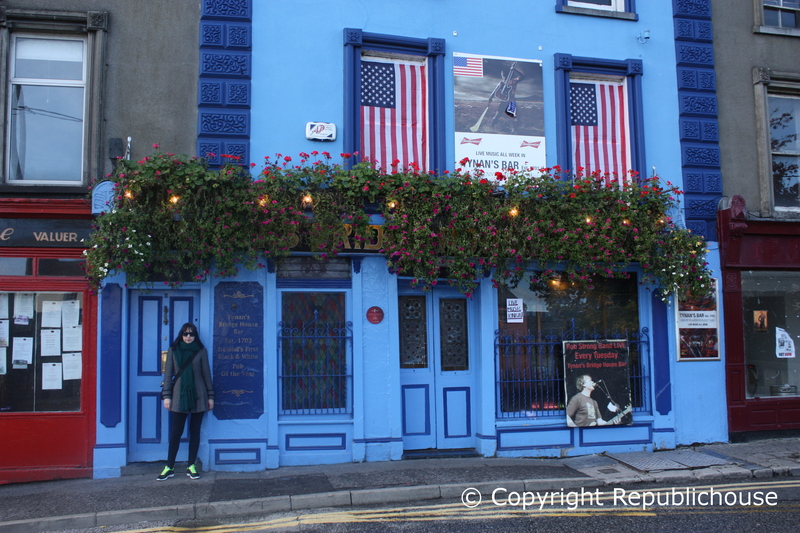 Earlier on in the evening, the songs being piped through on the pub’s soundsystem were a class act, among them songs by Al Green, Dionne Warwick, Leonard Cohen and Bob Dylan. 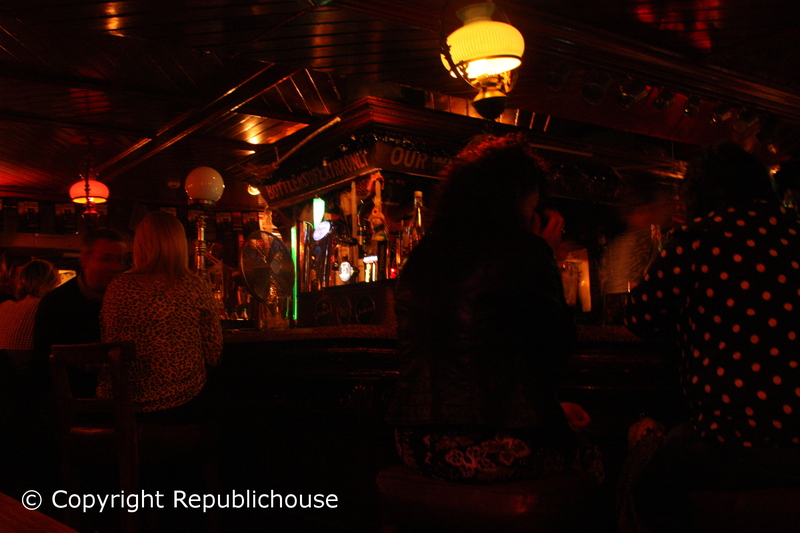 Tynan’s reminded us of a smashing little antique pub called The Phoenix in Dundalk, Co. Louth, which equally keeps itself young with its healthy selection of tunes and has a similarly decorative interior. This tasteful musical backdrop continued on our next visit the following day, when we sidled in around lunchtime. 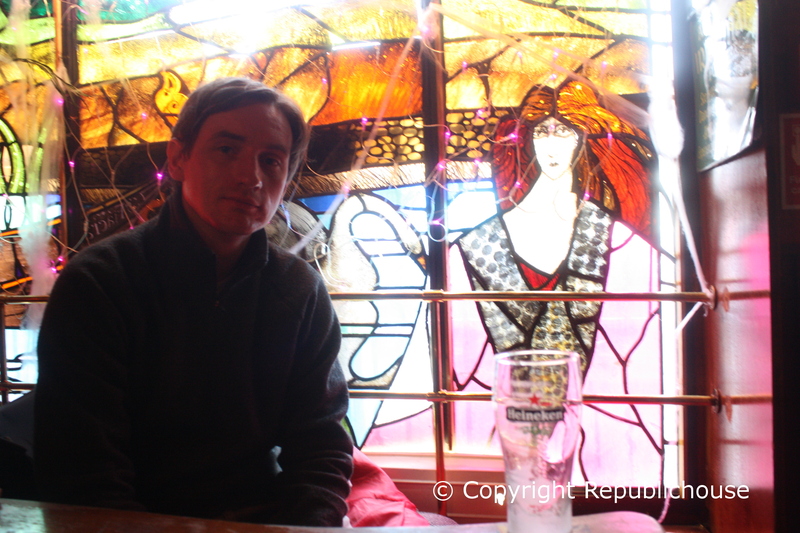 One Guinness & Heineken later (total €9.30 for both), we were as happy as two peas in a pod in this intimate pub, chatting away with songs from Paul Simon, The Stranglers, John Lennon, Bryan Ferry and Smokey Robinson playing in the background. There was no T.V. anywhere to be seen, which is always a good sign (the ‘craic’ is great without it) and is no small feat in sports-mad Kilkenny City (the Hurling being the main obsession). 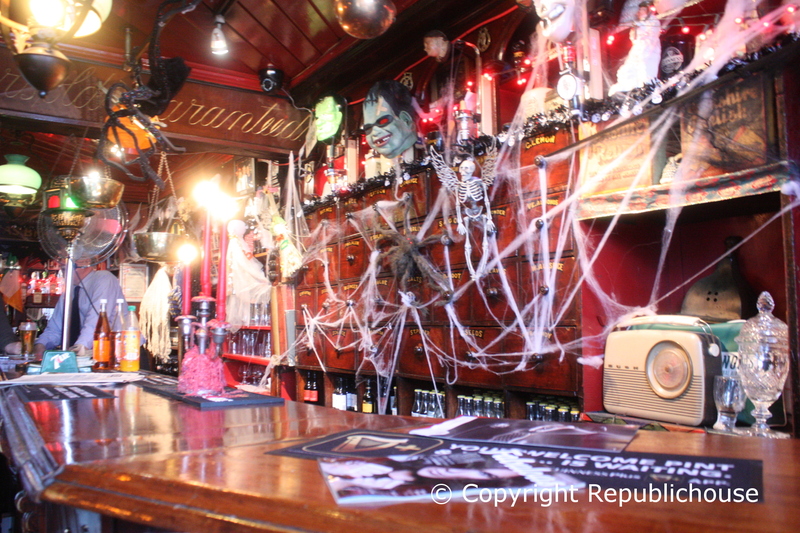 We highly recommend visiting Tynan’s during daylight hours to enjoy the full ambience of the pub. A tip of the hat goes to this fine, old drinking establishment and equally to their fine choice of music. 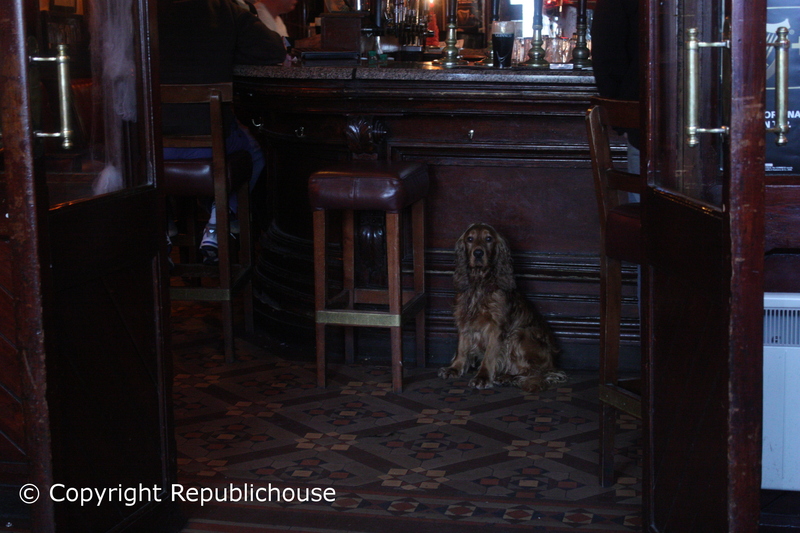 A nod too goes to the cheery barman we chatted with on that relaxing Sunday visit. He was an easygoing fellow who said ‘happy days’ about almost everything. All round Tynan’s is a fabulous wee pub of geniune antiquity but with a great vibe, although do mind your step with that sunken floor! Outside Tynan’s unmistakeably pale blue exterior. Its gold lettered sign is obscured by a lovely floral display on this particular occasion. Tynan’s was full of interesting characters! Visit because: Tynan’s wears its 300+ year heritage with ease, still alive and kicking with great live music, an ornate but cosy interior and a buzzing crowd at weekends due to its prime location.